Some Income tax returns filed yesterday through ROS got late surchages. Revenue clarified, that this was a “display-only” issue in the ROS Inbox caused by systems problem. Any surcharge notification dated yesterday will be removed. No late surcharge is being applied to 2014 Income Tax Returns correctly filed yesterday. 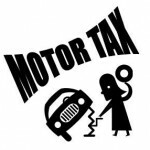 If your vehicle is off the road (for example is broken down) and you won’t drive it on public roads more than 3 months, you don’t have to pay motor tax. Summary of Ireland Finance Budget for 2016. Tax clearance certificates issuing since April 1st 2015 have different expiry dates depending on when the certificate issued. Certificates issued in the period 1st October 2015 to 31st December 2015 will have an expiry date of 30th June 2016. Those changes are because electronic Tax Clearance system (eTC) will be introduced from January 1st 2016. The main difference between paper Certificate and electronic certificate is that electronic one (eTC) will be subject to ongoing review and won’t have any expiry date. The up-to-date tax clearance status of customers will be available to be checked by public service bodies, taxpayers and their agents online, on an ongoing basis. Applicants that are successfully tax cleared in the new eTC system will also be given a Tax Clearance Access Number which they can provide to the public service body or third party who needs to verify their tax clearance status.